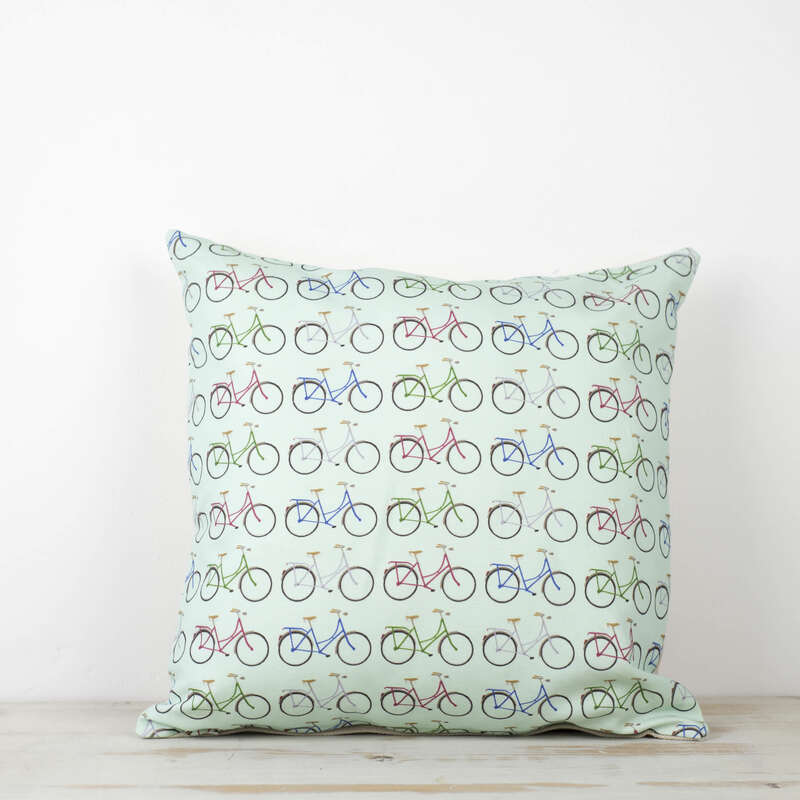 A handmade cushion featuring lots of bikes - and it's our very own fabric! Each of our textile cushion is designed in-house in the Yellowstone Studio and is then printed in our neighbouring county, Derbyshire. Yellowstone Art Boutique in Staffordshire, United Kingdom.